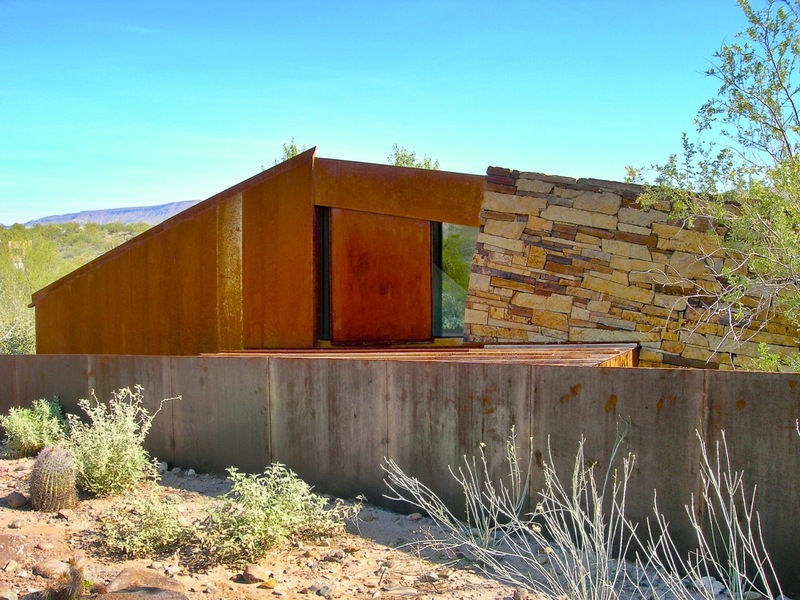 For 40 years, local architect Will Bruder has explored inventive and contextually exciting architectural solutions in response to site opportunities and the user’s needs. 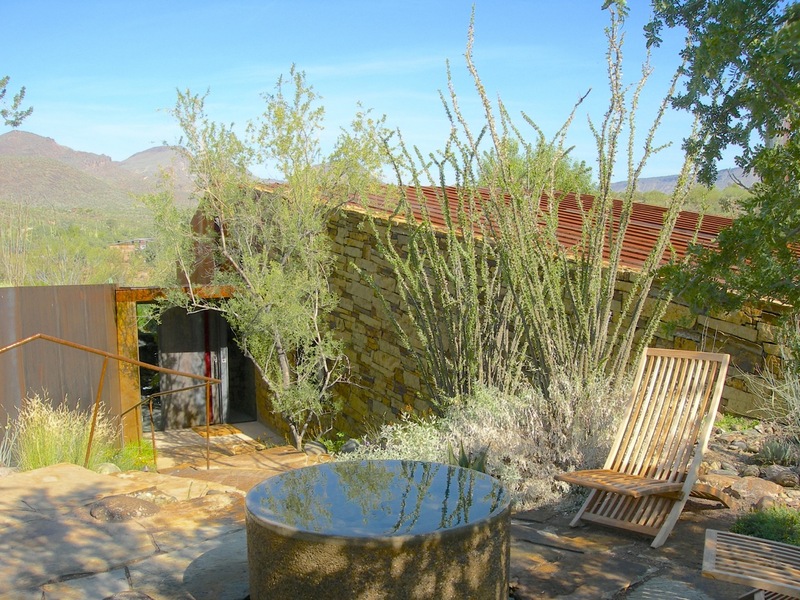 One of such creations, a modestly scaled 165 square meter weekend retreat, the Pond House, thirty miles south of Phoenix, bridges the metropolitan intensity of the city with an idyllic oasis of desert calm and contemplation. Water in the desert always creates an oasis. An oasis draws plants and animals to it as iron to a magnet. So it’s not surprising this was the draw that led the owners of the Pond House to create a balance for busy city lives. The mystery of the Pond House starts with the land. And what a place. At the top of Cave Creek, where geology and happenstance create a unique ecosystem that is quintessentially this state. Arizona roughly translates to “place of many springs,” so it could not be more fitting. 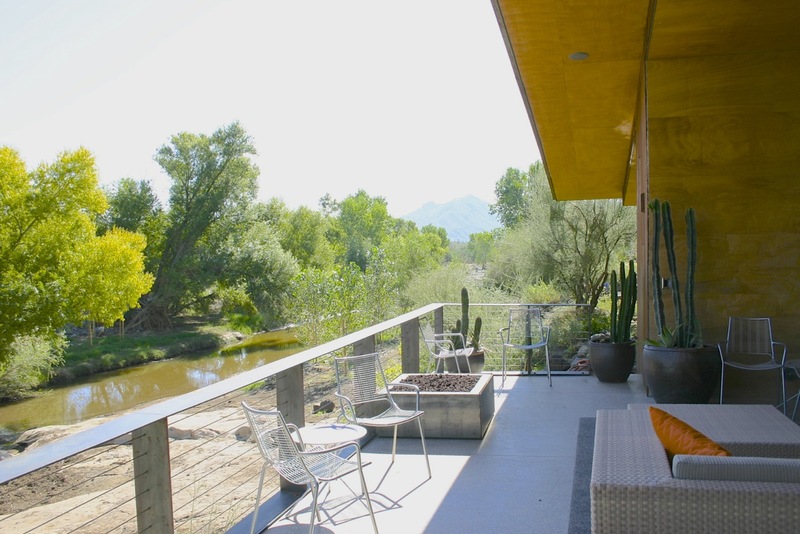 The Pond House sits at the blurred line between desert and the river banks. A natural swimming hole that occasionally feeds a raging river, at other times still pond, and in the driest of times, a remembrance of water. 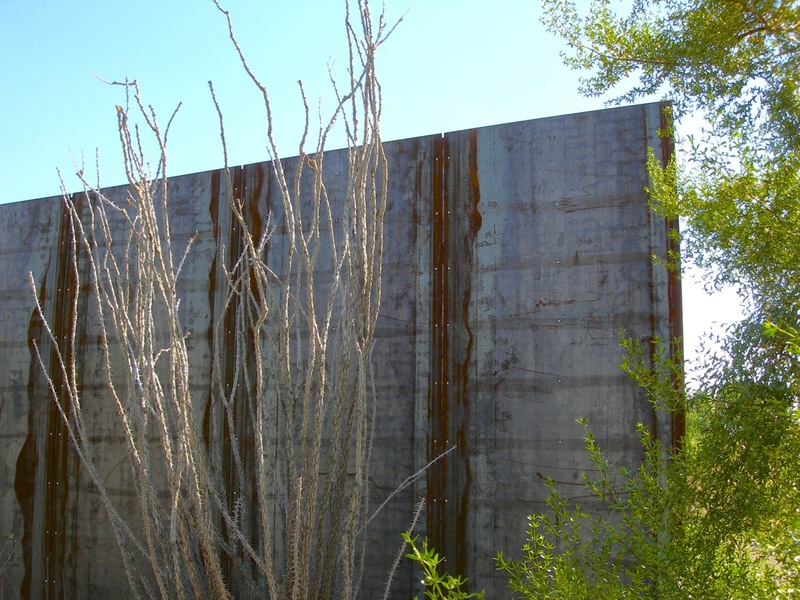 Imbedded in a dramatic and ancient rock outcrop overlooking a natural stream that’s fed by the Cottonwood Creek, the location called for a sensitive approach and bold decisions. 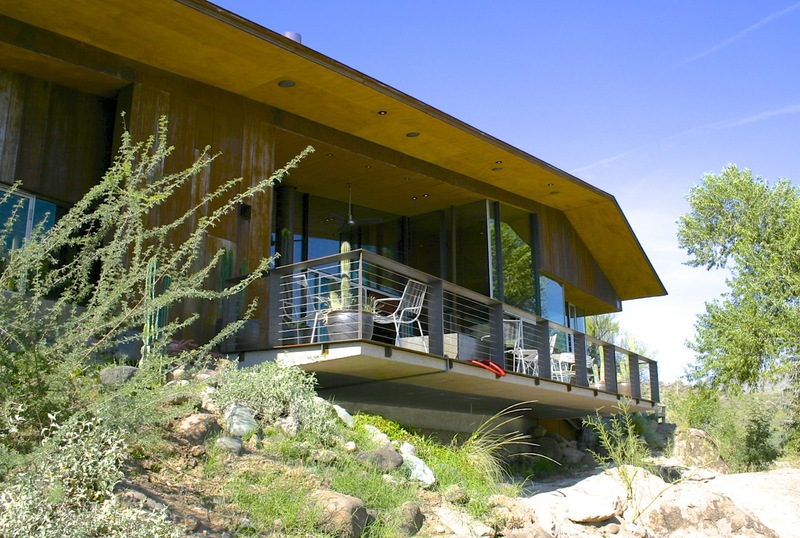 Instead of committing to a typical full-scale home, the owners chose architect Will Bruder to create a modestly scaled sanctuary. 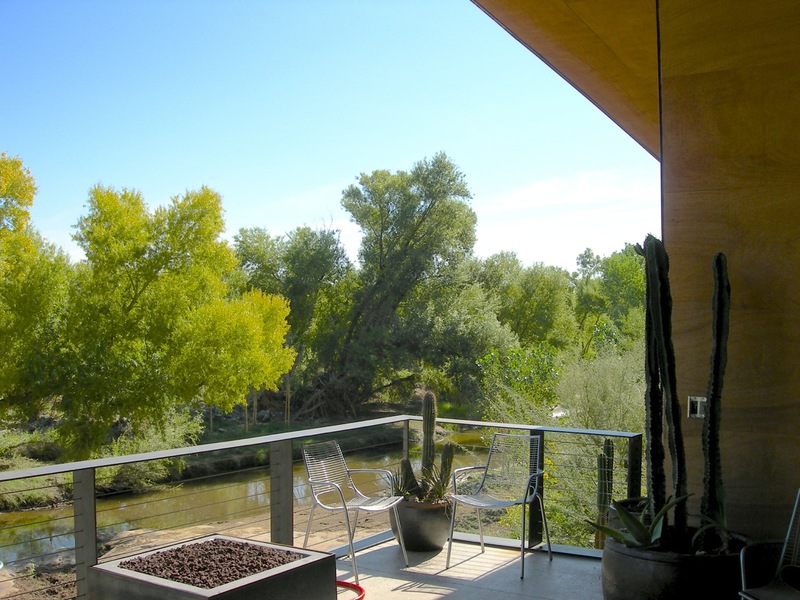 The home would be simply about site and detail: A retreat of calm idyll of scenic contemplation where the noise of urban materialism would retreat into the rustle of cottonwood leaves. Creating an intimate environment with functionality requires a level of connectivity of form, function and visuals, often not pursued in larger homes. 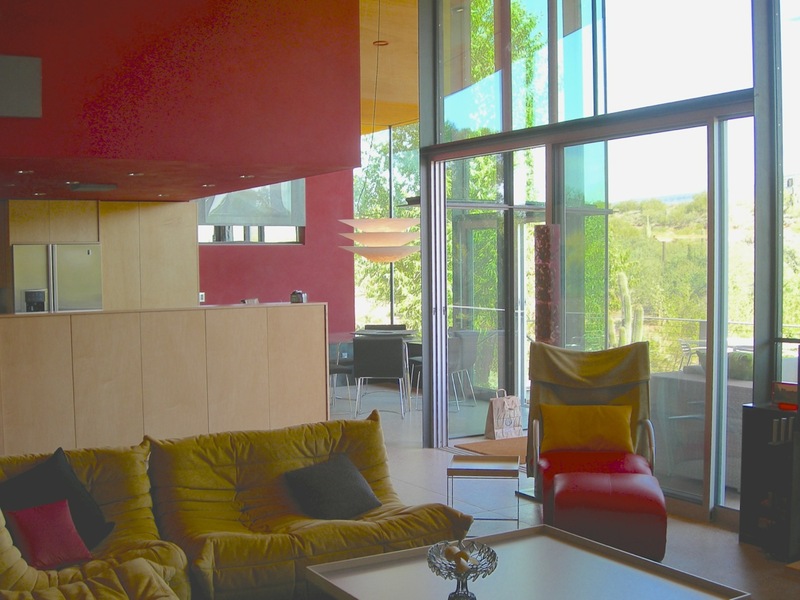 Selectively placed windows of glass and colored translucent resins frame unexpected vistas and perspectives. Viewed from the pond below, the house appears to blend, yet float gently above, the unique geology of its setting. 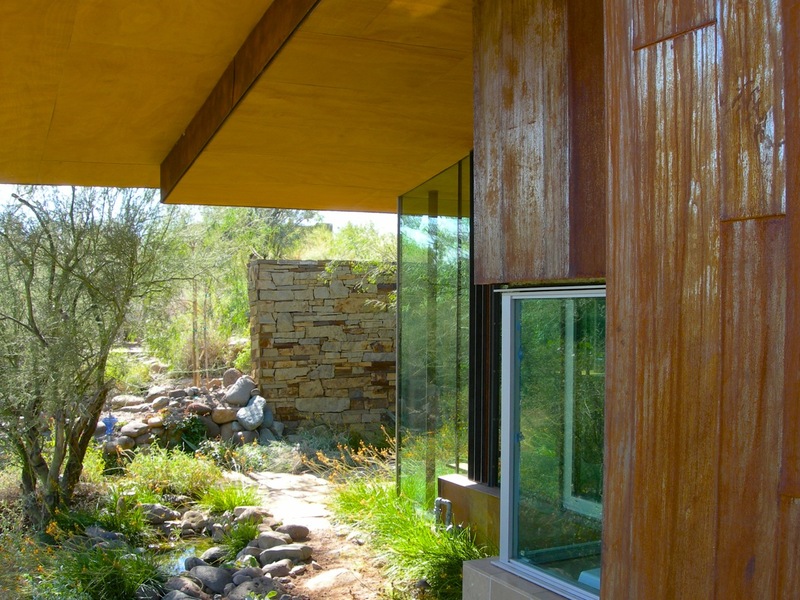 Deep overhangs embrace the home in a definitive gesture of shelter. 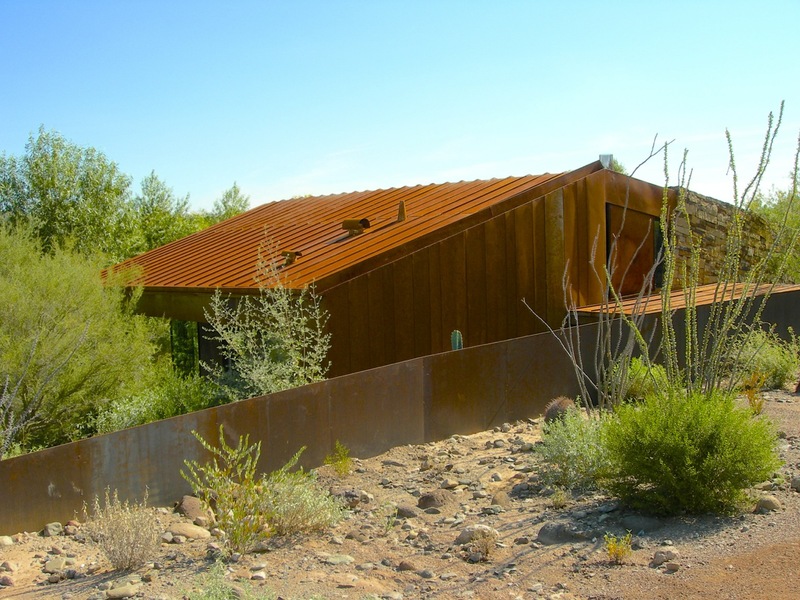 Bruder positioned the home to nestle against the location, but disappear, which it does upon approach following a winding dirt path. 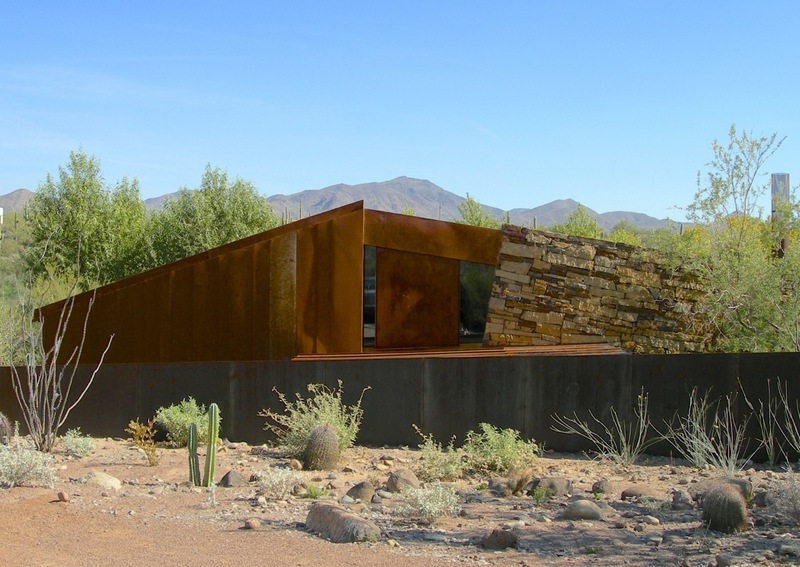 What’s visible of the home is restrained: a sculptural wall and line that emerges from the Earth. The sloped coursing of the home’s stonewall elicits a sense of mythical ruins of past cultures. 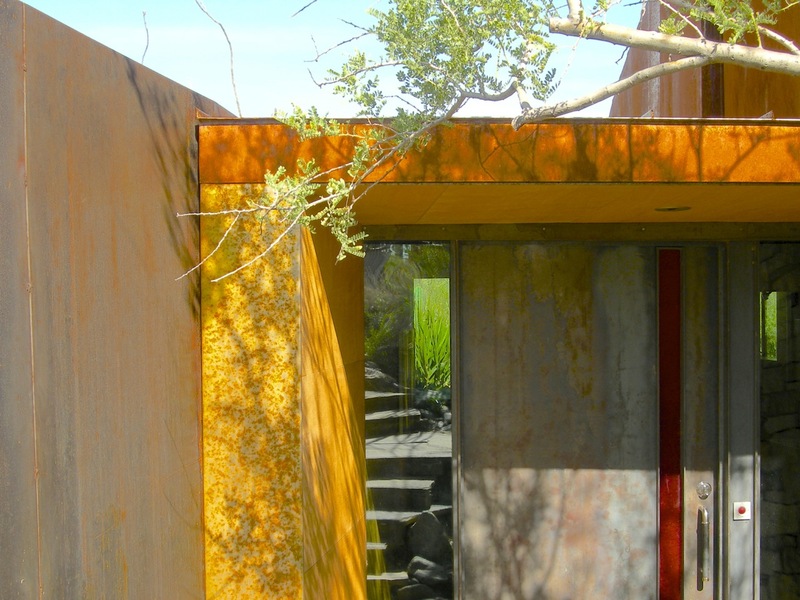 A footpath guides you to the entry and the courtyard; a metaphorical canyon that offers the first glimpse of water, flowing invitingly from cast concrete basin and defining the entry court. The water quietly flows down a natural flagstone stair. 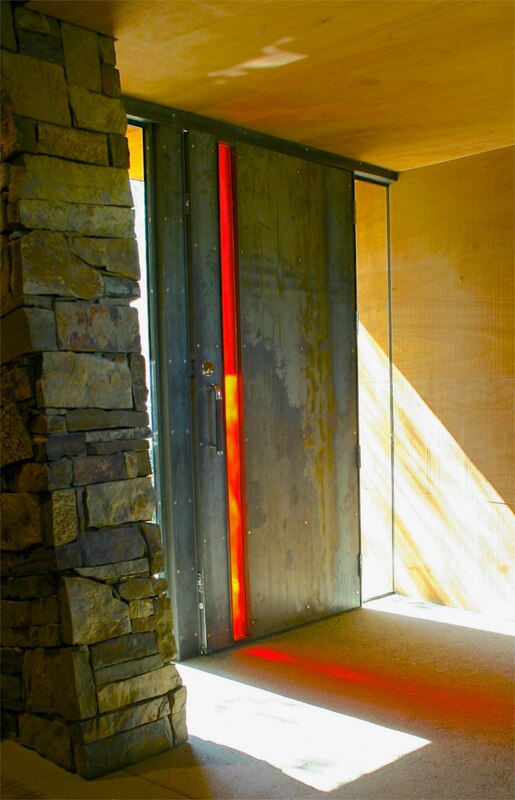 A narrow slot of colored glass guides you to the door like a welcome mat of light, and invites you into the shadow-play of the foyer. Walk down a few steps as you are drawn to the glow of east light beyond and suddenly you are released into the main living space with it’s elysian views, through carefully crafted comforts of selected materials and textures. 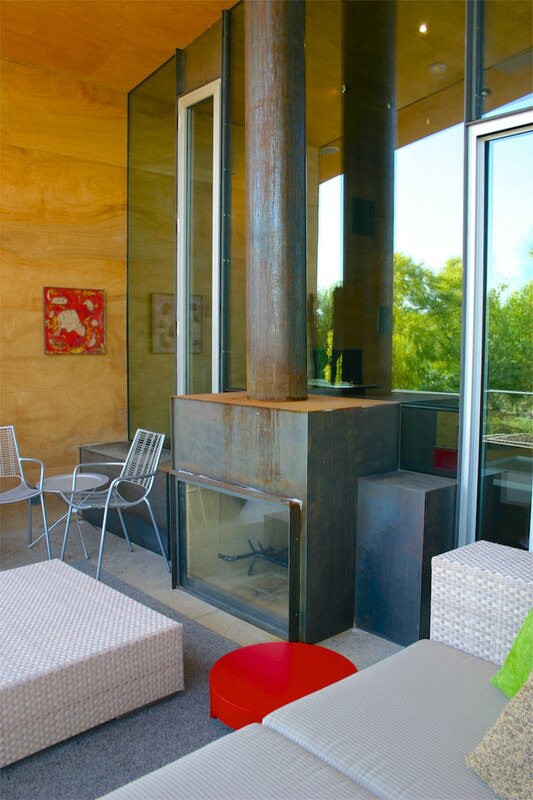 Large sliding glass doors, a see-through hearth and spacious cantilevered concrete living deck help dissolve the line between inside and out.